This past weekend, we were both fortunate to have an extra day off from work (that never happens)! We took advantage of the bonus time together and escaped to Santa Catalina Island, off of the coast of Los Angeles. If you’re not from Southern California, chances are you don’t know much about the island (don’t worry – we were brand new to it, too!) beyond the wine mixer in Step Brothers. Also, I’m pretty sure the Laguna Beach kids went here on Spring Break during one season. Ah, quality middle school television programming. We had a few friends who traveled to Catalina in the Fall and ranted and raved about how wonderful it is. So, without hesitation, we booked our ferry tickets and decided to celebrate Chad’s 30th birthday on this beautiful island. It’s only 26 miles from Los Angeles, but it felt like we were far away in a tropical paradise. If you haven’t been, believe me when I say that you have to add Catalina to your travel or runcation bucket list (there are two marathons each year!). With everything to see and only three days to see it, our time on the island was jam-packed with adventure. But it was also so refreshing and restorative. I’m truly grateful for this season of life, booking trips on a whim and exploring new things with my best bud. There’s been so much that we’ve done that I know would not have been in the cards for us, had we not taken the leap to move across the country last year. It’s not always easy to be so far from home, but places like Catalina make it worth it. Where We Stayed: The Glenmore Plaza Hotel. Jack at the front desk is the sweetest – ask him to show you pictures of his daughter’s new puppy. How We Got There: The Catalina Express out of Dana Point. Other ports include Long Beach, San Pedro, and Newport Beach. Where We Ate: Antonio’s Pizza, the Lobster Trap (holy ravioli, so good), Catalina Coffee & Cookie Company, Steve’s Steakhouse, Maggie’s Blue Rose, Catalina Cantina. Man. We ate a lot of good food. What We Explored: The Airport in the Sky, the Catalina Casino, the Botanical Gardens, the Zip-Lining Eco Tour (my favorite), and just general running/hiking/walking around any path we could find! If you’re curious about Catalina or want recommendations for your tip – let’s chat! I’ve basically spent the past two days daydreaming of being out of my cubicle and back on island time – hope you won’t mind if I relive the fun and persuade you to go with some photos! So much to do in so little time! We opted for Skyline Drive, the behind the scenes Casino Tour (amazing! ), and zip-lining. We stumbled upon a toy store and met it’s adorable resident, Django. The town is teeeeeeny-tiny and there’s a 15 year waiting list to get a car permit. The locals either walk or drive golf carts around. Pretty dang adorable. The famous Catalina Casino in the background. Just moments before Chad fell in love with the best BBQ chicken pizza he’s ever had. We got to ride this thing up winding roads (with steep drops!) to the top of the mountain. Heck. Yes. Lunch with a view at the top of the mountain. On a clear day, you can see the Pacific from both sides! I could drink only this coffee for the rest of my life and be 100% ok with it. 11 months in California and we’re still not quite used to this. 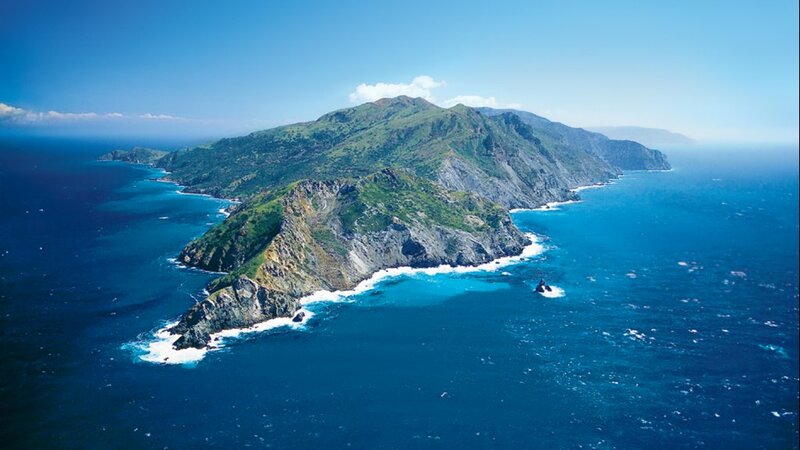 To plan your trip to Catalina Island, visit http://www.visitcatalinaisland.com/.